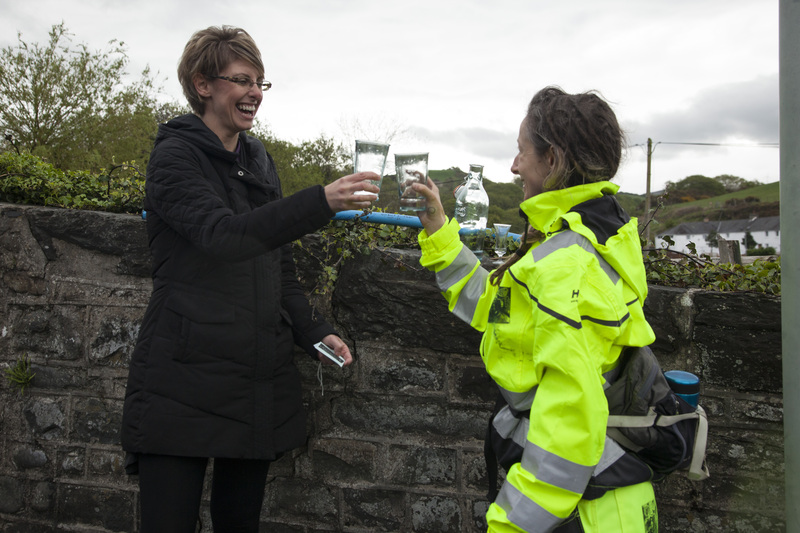 Water Treatment Walks (2016) was a walking performance about tap water and how we ‘treat’ it; about what happens to water after it leaves the treatment works… If you had to make a promise or drink a toast to water, what would it be? This five day, 60 mile walk followed the mains water pipeline network from the Bontgoch water treatment works to sea at the Ynyslas visitor centre. It was commissioned by the Cymerau case study of the AHRC Hydrocitizenship project. 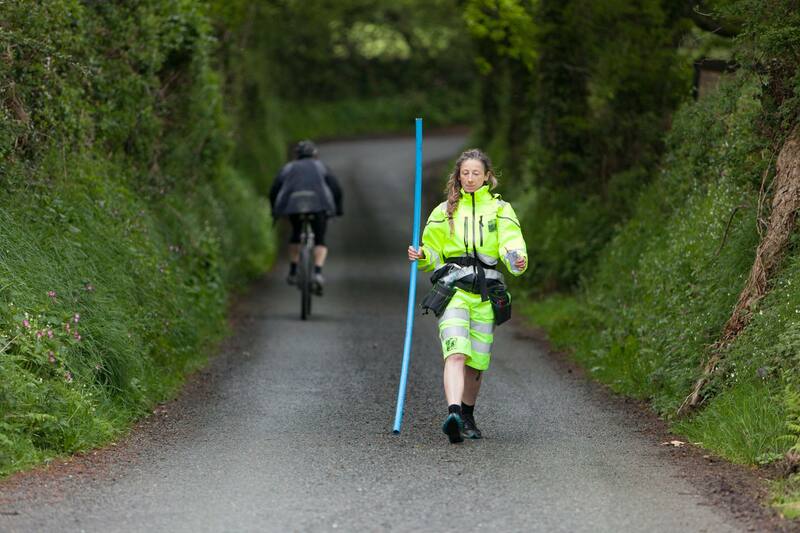 Wearing hi-vis work wear and carrying 2 m of blue water pipe, a bottle of water and two glasses, I asked every person I met to make a promise of ‘one thing you would do to ‘treat’ water differently in future’ and then we drank a toast together. The piece was a gentle encouragement to perceive the ‘vitality’ of water – as something worthy of being ‘treated’ thoughtfully – and thus admitting the agency of the more-than-human into everyday routine.